'The Walking Dead': Andrew Lincoln's Last Scenes Revealed Details of Andrew Lincoln's final scene with The Walking Dead have been revealed. The Walking Dead, the drama series that follows the story of a sheriff who awakes from a coma to discover a world overrun by zombies. The Walking Dead is a horror drama series aired by AMC cable television channel in the United States and by Fox TV channel in the United Kingdom. The Walking Dead television series has been created by Frank Darabont and is based on the comic book series of the same name written by Robert Kirkman, Tony Moore, and Charlie Adlard. 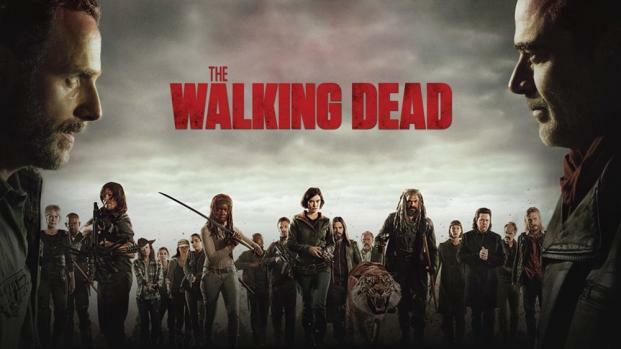 The show focuses on the onset of a worldwide zombie apocalypse with zombies (referred to as "walkers") attempting to turn ordinary humans into zombies as well. The Walking Dead focuses on the character of sheriff's deputy Rick Grimes, starred by Andrew Lincoln, as he becomes the leader of a group of survivors after waking up from a coma to discover this apocalypse. The series takes place mostly within the Atlanta metropolitan area and the surrounding countryside. The Walking Dead has been first aired on October 31st 2010 and has been renewed for a seventh season which premiered on Sunday, October 23rd in the US and on Monday, October 24th in the UK. With many characters recurring throughout the seven seasons as well as leaving the show, Chandler Riggs who plays Rick's son Carl Grimes has been part of The Walking Dead from the start along with main character Rick Grimes. Jon Benthal starring Shane Walsh Rick's former police partner and close friend (seasons 1 and 2). Sarah Wayne Callies starring Lori Grimes, Rick's wife, who had an affair with Shane Walsh while believing Rick's dead (seasons 1 – 3). Steven Yeun starring Glenn Rhee (seasons 1 – 7) A former pizza delivery boy who saves Rick's life. Since the programme began, it has received a number of awards including a Golden Globe award for Best Television series and had several spin-offs dedicated to the franchise. The first episode of the season 9, titled as "A New Beginning," shows Rick Grimes waking up to a peaceful world. With Andrew Lincoln set to leave the show, many fans are wondering in which episode this will happen. One episode title gives a clue about What Comes After in the TWD universe. All the communities are working together in the new footage of season 9. 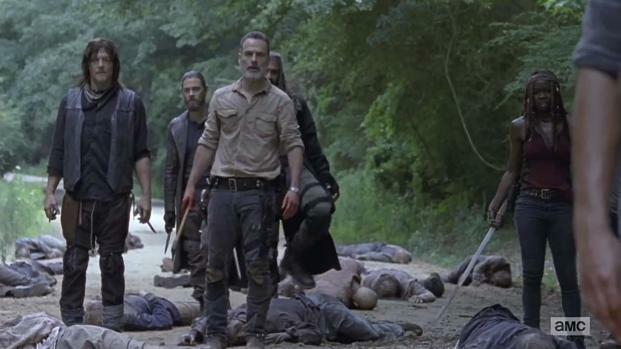 The season 9 trailer has debuted with footage from the upcoming season showing tension escalating. It seems like AMC's hit post-apocalyptic zombie drama isn't going to end anytime soon. Rosita and Eugene are shocked when they first encounter the talking walkers. Secrets are reviled and new alliances are formed as the season begins to draw to a close. Is a ‘Walking Dead’ movie happening? ‘TWD’ showrunner Scott M. Gimple says it’s inevitable, but what will it be about? 'The Walking Dead' continues season 7 shockers with another main character death? Is Maggie really dead on 'The Walking Dead' or was it a ploy by Rick to trick Negan? With season's of debate the wait is over to find out who Judith's father is.